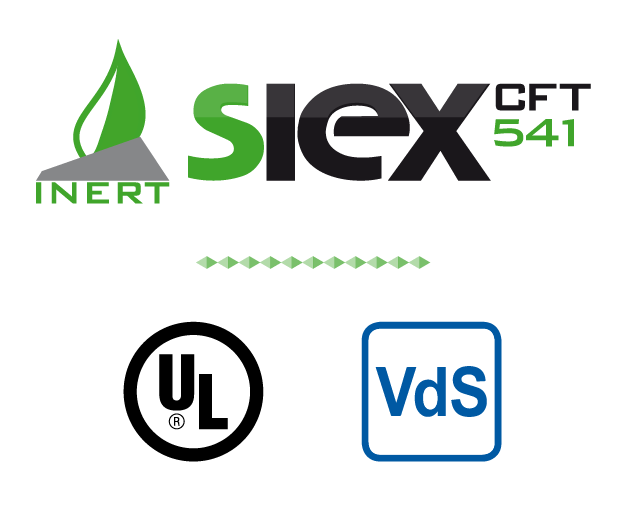 INERT-SIEX™ CFT-541 (Constant Flow Technology) is a step forward in fire protection with IG-541. It combines the unbeatable qualities and performance of this agent (a blend of Argon, Nitrogen and cCarbon Dioxide) with a marked improvement in its release, thanks to our equipment’s innovative air flow control system, developed exclusively by SIEX’s R&D and innovation department and laboratory. Approved and certified internationally, this system manages to streamline the installation while minimizing costs in IG-541 systems. The use of the RGS-MAM-RD constant pressure valve ensures total fire extinguishing as well as the integrity of the enclosure, property and especially people. This is possible because this component regulates the outflow of gas from the cylinder, providing a constant flow during discharge. It represents a breakthrough in the use of IG-541, which belongs to the group of inert gases used in two thirds of the irefighting systems in Europe, because it eliminates the use of a calibrated restrictor to reduce the initial high pressure and maintains a constant discharge, thus making it safer. Moreover, the controlled release of agent significantly reduces the diameter and thickness of the piping system, thereby cutting costs and facilitating installation. 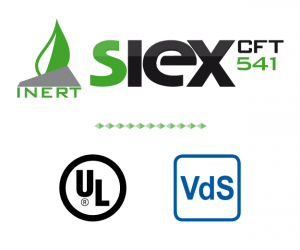 The software developed specifically for the INERT-SIEX™ CFT-541 (Constant Flow Technology) system is the only accurate method accepted for its design. 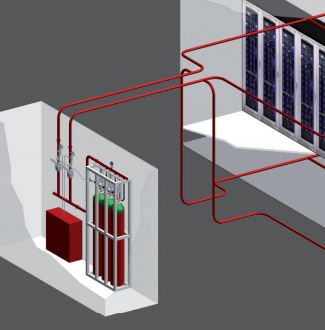 Data centres include increasingly sensitive devices, especially to noise. High frequencies combined with sound pressures of over 110dB may affect the operation of their hard drives and cause permanent damage. It is essential that the fire protection system avoids damage not caused by the fire, but generated collaterally by the noise of the discharge. SIEX SALC silencers reduce noise to below 90 dB in the most adverse case, far below the 120 dB of a free discharge and the 100 dB available on the market. 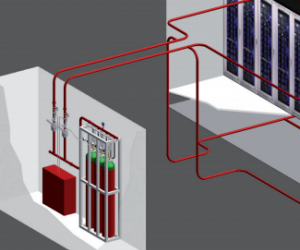 It also allows for installation both in new projects and existing. They offer maximum benefits in use with inert gases (60 second discharges) and are compatible both with falling pressure technology (with restrictor) and with the new Constant Flow Technology (flow rate control in the DR valve).